Western Baltija Shipbuilding (WBS) signed a contract on the production of the hull blocks for the largest hybrid ferry in the world with the Norwegian company Ulstein Verft AS in spring and is already commencing first steel cutting operations. The RoPax ferry, which will be launched in the summer of 2019 and will accommodate about 2,000 passengers and as many as 500 vehicles, will travel the route of Norway–Sweden–Norway. “This order is very significant, as our company has managed to attract yet another strategically important customer – one of the leading shipbuilding companies in Scandinavia, for which the quality and delivery time are of paramount importance. It is a sign of trust in our ship building yard,” CEO of Western Shipyard Arnoldas Šileika said. The block production project should be completed in July 2018, when the blocks will be delivered to the customer for final assembly and installation of the ferry. The vessel is built using innovative noise and emission reduction solutions. 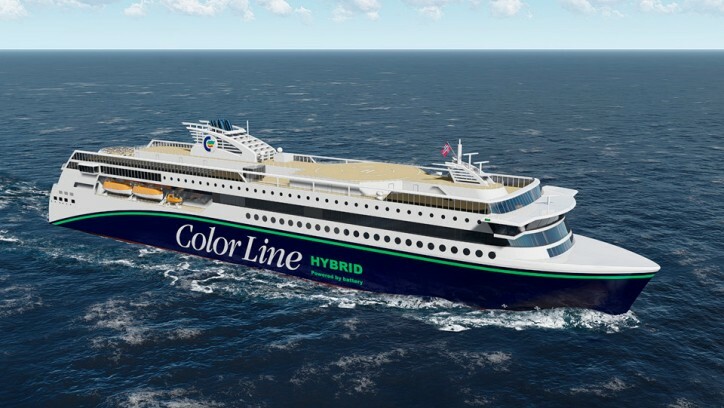 The ferry will be equipped with a hybrid propulsion power plant, which means that it will be eco-friendly, will cause less pollution, and will be safer to the environment. The batteries of the electric-powered hybrid ferry will be recharged using port facilities or on-board generators.